CARLSBAD — The California Energy Commission held two public workshops on Jan. 12 and Jan. 13 to update the public on the “peaker” style power plant proposed by Carlsbad Energy Center LLC, which will take the place of the Encina Power Station. The applicant, Carlsbad Energy Center LLC, is a subsidiary of NRG Energy and is in the process of amending its past application, which was approved by the California Energy Commission in 2012. Mike Monasmith, senior project manager at California Energy Commission said the applicant hopes to be finished with the demolition of the fuel oil storage tanks by the third quarter of this year. He said if everything goes according to plan, construction on the new power plant will begin this November or December and will last 22 months. The natural gas combined turbines will produce about 558 megawatts, making it 30 percent more efficient than the 60-year-old Encina Power Station, according to California Energy Commission Media Officer Michael Ward. It will be located on 30 acres near the Encina Power Station. The lower profile peaker-style power plant will be built first and then NRG will decommission the Encina Power Station. After the new power plant is built, pre-demolition work will last about a year, according to Monasmith. Staff will recycle and reuse portions of the old power plant. The demolition of the Encina Power Station will begin in late 2018 and is expected to be finished by the end of 2020, said Monasmith. Kerry Siekmann, an intervener for Terramar residents, expressed concern about the noise. One official said the construction and demolition will be limited to the hours between 7 a.m. and 6 p.m. on weekdays and between 8 a.m. and 6 p.m. on weekends, to limit disturbance for residents. Bob Therkelsen, from the Carlsbad Municipal Water District, said the new plant will not be able to operate between midnight and 6 a.m., unless required for reliability purposes, in an effort to reduce noise. NRG Energy proposed to build the new power plant in 2007 but did not include a commitment to tear down the existing power plant. The city didn’t have the authority to deny NRG and the California Energy Commission approved the project. 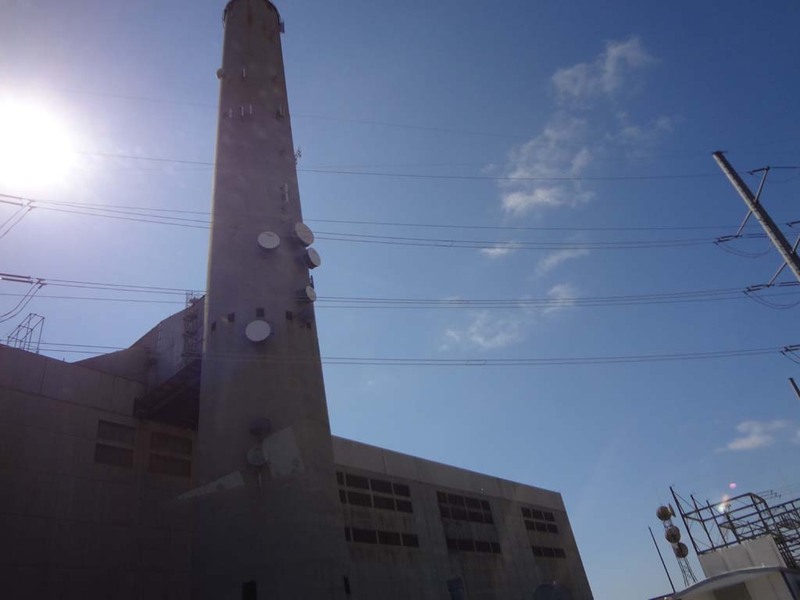 However, after the power plant at San Onofre closed, NRG, SDG&E and the city entered into negotiations for a new project. NRG agreed to build the lower-profile peaker plant, which will only run during peak hours of demand. Officials also agreed to tear down the old Encina Power Plant. SDG&E will move its operations yard in order to free up valuable coastal land for city use. If there is no feasible location to move the operations yard, NRG will pay the city $10 million. Dr. Alvin Greenberg, owner of Risk Science Associates, looked at worker and public safety. Since the 400-foot smoke stack will not be imploded or felled, there will be no off-site impact, Greenberg said. He also determined that the new power plant will not pose a health risk to the surrounding public or employees. The public can comment on the project online until Jan. 21. Energy Commission staff will publish the Final Staff Assessment Feb. 17 and it will then be reviewed for safety and compliance.